Once you have built a form that includes a third party group you will need to build an email template to be sent to the third party responders. To build the template, go to the Email Templates and add a new template. In the body of the email add instructions for the third party. 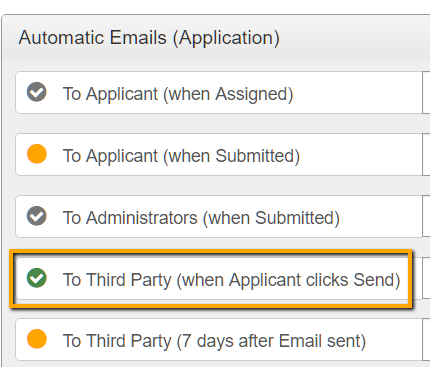 When the email is sent, a link to the third party questions and the applicant name, email, and organization (if applicable) will be provided below the text. In the Email Notification Events box select Third Party Assigned. 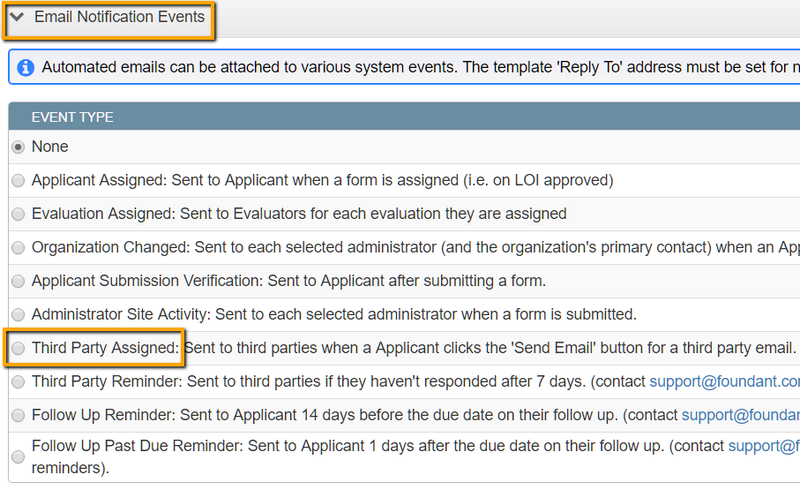 To activate the automatic third party notification, go to Process Manager and click on the name of the process that will use the template. Once on the Update Process page click on the Process Stage that you would like to add the template to.